Another new pattern this one is called Longtude. It reminded me of longitude and latitude lines. Keeping fingers crossed that this one is an original. Click on the thumbnail to get the step by step on how to create this design. I have spent a lovely week in Sorrento , Italy attending my younger sister’s wedding. It was such a lovely relaxed affair and lovely for all the family to be together. So I’m back home now and looking at my sketches and doodlings of patterns. This one was inspired by a double layer of chicken wire of all things. It’s called Hexalay. 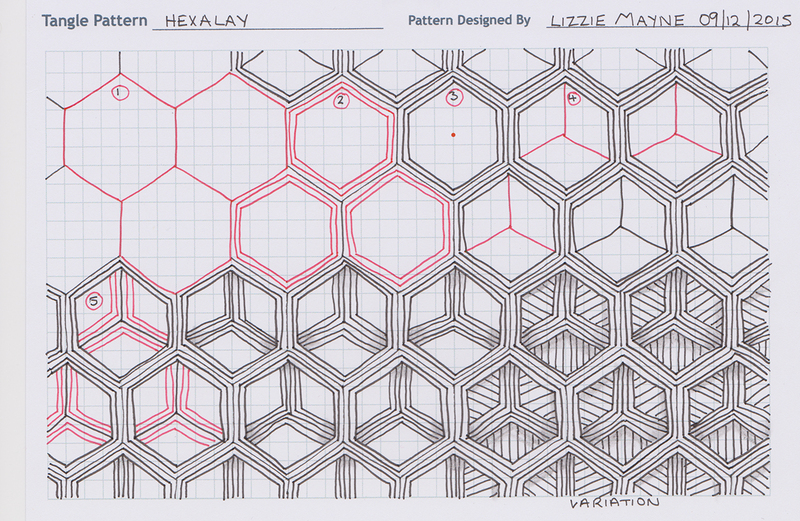 After posting this pattern it turns out that this design has been created by another lady. What are the odds of that. Great minds think alike. She had created hers back in September but I have decided to leave my version on here too. I can’t believe it’s been a year since I posted on here. Life has been busy with my grown up children and grand children. I continue to design for Silhouette America I have hundreds and hundreds of designs for sale on their store. 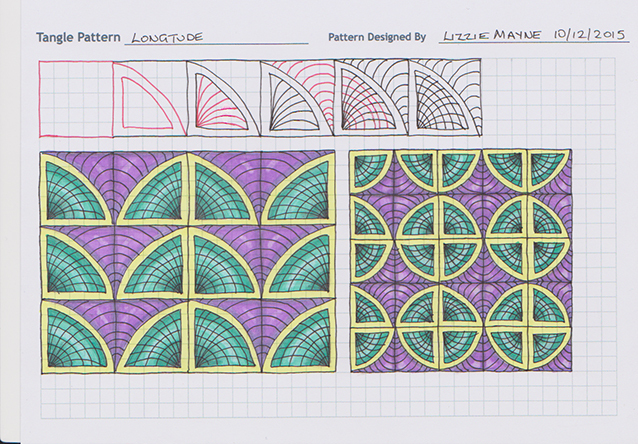 I found a little time to get back into designing a new tangle pattern called Koaxil. I hope you like it. 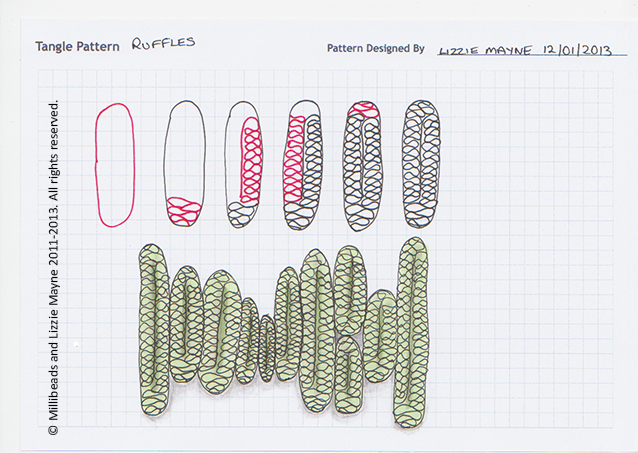 If you would like the step-out of this new pattern just click on the image. 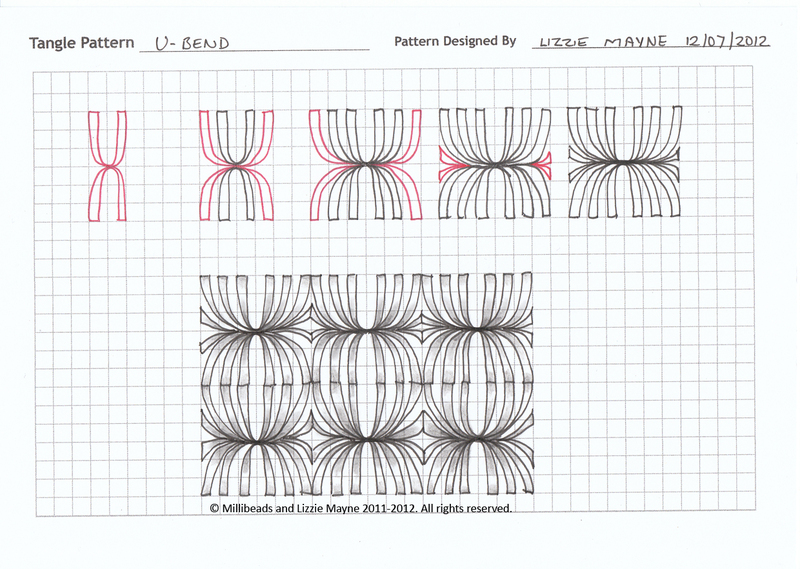 I have a new tangle pattern for you. This is called Banderole. 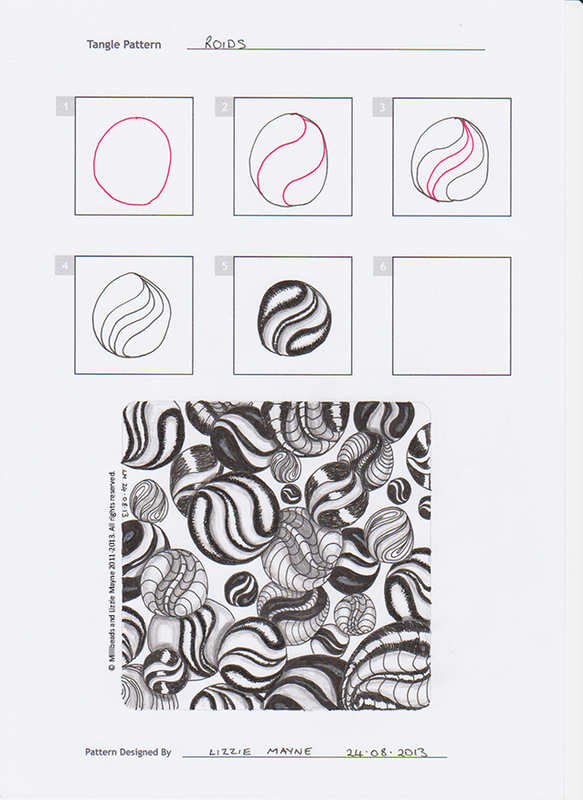 Click on the image for the step by step on how to draw Banderole. 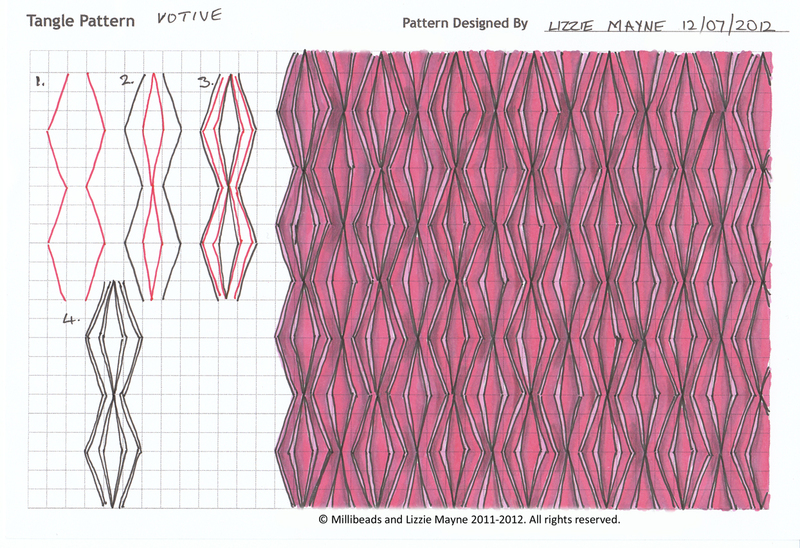 Also please visit my other tangle pages where you can find many more of my tangle patterns. It’s been a while but I have two new patterns for you called ‘Roids’. Just click on thumbnails for a step by step drawing guide. N.B. 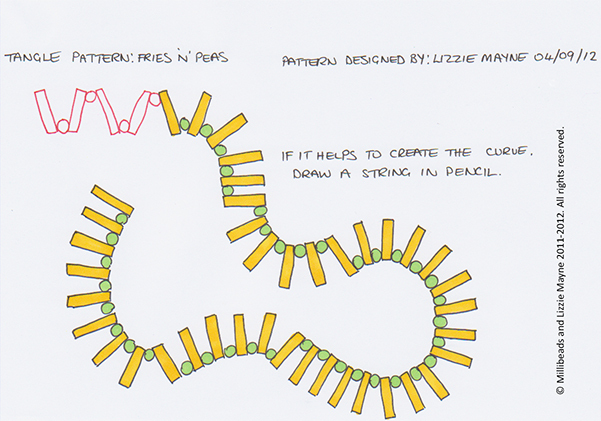 I have found out that my pattern ‘Shons’ was similar to another pattern from another tangle artist. It is only fair that I remove it as her pattern was published first. 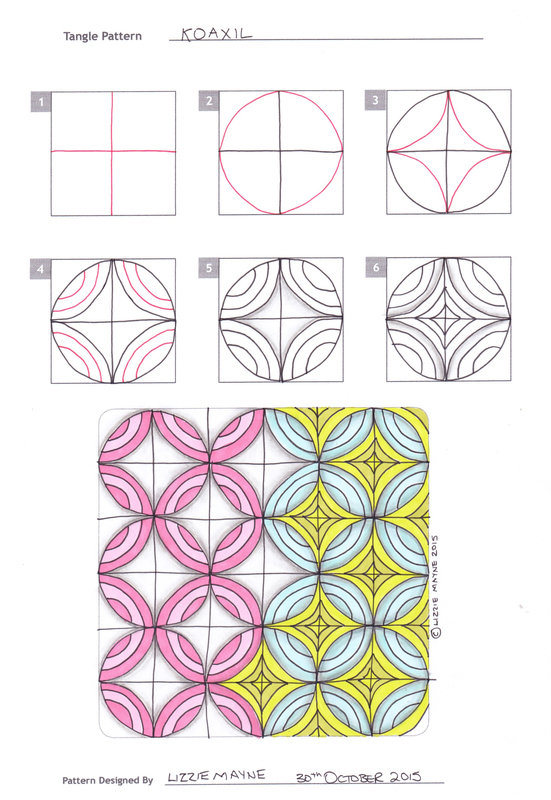 http://tanglepatterns.com/2012/08/how-to-draw-spokes.html. 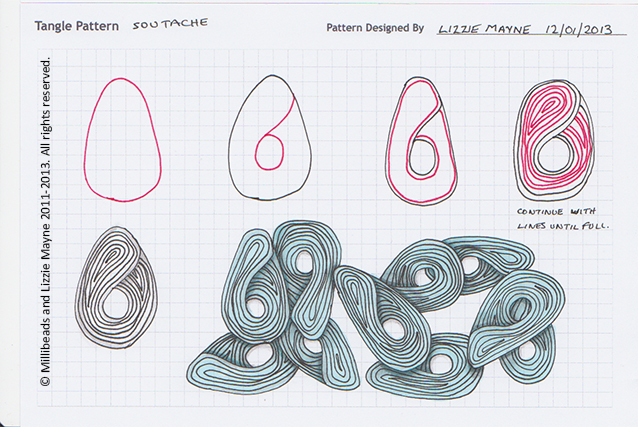 My intention is not to copy it just so happens that sometimes patterns can be duplicated. Just goes to show that great minds think alike. It’s been a while, unfortunately most of my time is taken up working now, so I don’t get the chance to Tangle so much but I managed to sneak in these two. 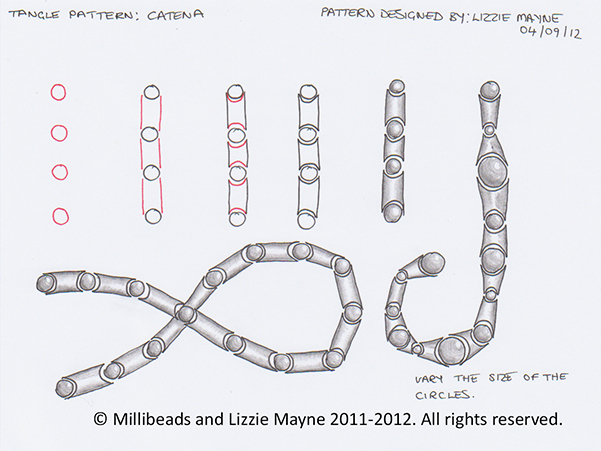 You can find the step by step guides on my tangle patterns pages.